While it’s not wise to read heavily into 5 game samples of play vs. sub-NBA competition, summer league is an interesting scouting experience. All of the rookies who dominated NCAA opposition are now thrown onto rosters full of big, long athletes, and we get to see who can still do things on the court against more physically fit competition. It becomes harder to get to the rim in the half-court, easy transition buckets start to wane, and there aren’t any 6’8″ centers to be bullied. Consequently, most rookies look like rookies as their flaws are on full display. The clearest trend I have noticed is that many rookies become jump shot taking machines. It naturally follows that summer league most heavily favors shooters, especially when they get hot. Josh Selby won summer league MVP by hitting 27/42 from 3, and then went on to post a 2.7 PER in 296 NBA minutes before washing out. Thus far among rookies, the biggest single game point totals have all come from shooters who heated up from distance: Gary Harris (33 pts), Doug McDermott (31), and Rodney Hood (29). While it’s nice when these guys get off and make a bunch of shots rather than not doing anything, they were also posted against horrible perimeter defense (at least McDermott and Hood were, I missed the Harris game). This perception is reinforced by the list of all time worst PER’s tweeted out by Jonathan Givony. The players who performed poorly during summer that became something in the NBA: Serge Ibaka, Nicolas Batum, Eric Bledsoe, Larry Sanders, George Hill, Greivis Vasquez, Josh McRoberts. Vasquez is the only player who thrives on neither defense nor athleticism that became something, and he only became a quality bench player. This is likely in part due to the fact that athletic types tend to enter the draft sooner than non-athletes, and rawer athletes have a longer window to improve their skill level. Players who are some combination of old, unathletic, and poor defensively all face extra pressure to produce in summer league. Note that I believe rookies and only rookies are worth scouting in summer league. The 2nd and 3rd year players with NBA experience no longer suffer from the shock factor of the upgraded physicality compared to NCAA, so their performances can safely be ignored. Since Las Vegas games are not yet complete, I will start by sharing my thoughts from the Orlando games. I’m not writing about Nerlens Noel or Nick Johnson since I didn’t watch enough to generate any unique perspective, but from what I have seen I agree with the consensus that they both look good and Noel should have gone #1 in 2013. Smart started off summer league playing off the ball with Phil Pressey running the offense, and he spent most of his time bricking jump shots. When he did get the ball, it was a work in progress trying to get off shots at the rim as his first few attempts off the dribble were blocked. Eventually he was able to find daylight and have a few nice drive and finishes, but it’s clear that he’s going to struggle as a scorer early in his career. His handle, quicks, and athleticism are all solid but not great, and it’s going to be a work in progress for him to get to the rim with any sort of frequency. Until he solves that, he will likely be relying on his not so great jump shot so don’t expect a good rookie year eFG%. His summer league eFG% was a paltry 36.0%. The silver lining is that he correctly favors 3 pointers over long 2’s, which limits the damage that will be caused by his bricklaying ways. But his summer league wasn’t all bad. As expected he provided good defense and solid rebounding. And the good news is that his TS% shouldn’t be as bad as his eFG% since he has the strength to draw FT’s and is able to knock them down at a solid rate. Most importantly Smart showed surprisingly good ability to both distribute and protect the ball. Whenever he did get the chance to run the offense, he did a good job of making the simple pass to set his teammates up for quality shots. Occasionally he showed off impressive vision and made a great pass. He is so good at reading the opposition on defense to play the passing lanes, it’s worth wondering if that translates to the offensive end for his ability to see the floor and find open teammates. One of the knocks on him was that he isn’t a true PG, but he didn’t play PG in high school and is still developing his floor general skills. Based on his summer league performance, his upside as a distributor seems better than advertised. Also encouraging was his ability to protect the ball. Smart’s strength is a major advantage for his ability to operate in traffic. Even though he couldn’t quite get where he wanted on offense, he wasn’t at much risk of having the ball ripped away in the process since he’s so strong. He finished summer league with 21 assists and 9 turnovers, which is especially impressive considering his high volume of shot attempts. Overall Smart played roughly as well as I expected. The development of his shot and ability to get to the rim should determine whether he becomes an all-star or plateaus as a PG version of Tony Allen. But that’s still the range of outcomes I expect from him, and I deem it to be a happy range for a #6 overall pick. Gordon’s summer league was a slight disappointment, but not a meaningful one. Given the importance of shooting, it stands to reason that the player with the most broken shot in the class would struggle the most. And while he has a good handle for an 18 year old SF, he can’t yet create much off the dribble to shine in spite of this. I was a bit disappointed to see him not accrue a single steal in Orlando, but that could easily be a sample size fluke. Steals have a much lower correlation (.29) with regular season success than assists (.77), blocks (.80), and rebounds (.63 off, .70 def). Given how good he was defensively in college and FIBA, it’s probably not worth fretting over. I didn’t watch a ton of Orlando, so I didn’t generate any new observations on Gordon. He just isn’t ready to do much offensively and probably won’t have a great rookie year statistically. He is a strong candidate to eventually join the list of players who became great in spite of poor summer leagues, as he has youth, athleticism, and defense all on his side as well as the excuse of poor shooting. It would have been nice if he surprised with more polish than expected, but I’m not significantly docking Gordon for his performance. Payton is a player for whom summer league counts a bit extra since much of his college production entailed dominating weak competition in transition. I don’t think he could have looked much better. After a shaky initial outing, Payton turned on the good stuff and started aggressively flirting with triple doubles. He was able to penetrate through the defense, finish at the rim, create for his teammates, and rack up rebounds. He didn’t score a ton since he didn’t settle for many jumpers, but he is also a rare rookie with a high 2p% as he shot 15/25 (60%) inside the arc. This is indicative of the fact that he’s also a rare rookie with the ability to create high quality shots at the rim. He also posted fantastic rebound and assist rates, which are two of the categories that correlate best with rookie regular season statistics. It’s possible that he has much more passing ability than he was able to show at Louisiana Lafayette with Shawn Long as his only teammate that could score at a competent level. I regret ranking him behind Tyler Ennis, as I probably over-thought that one. The bottom line is that Payton can defend, he can pass, he can rebound, and he can get to the rim, and that adds up to pretty nice upside. I was concerned how much being a skinny, non-elite athlete would hurt him but it if nothing else it doesn’t seem like it will impede his ability to get where he wants to go on the floor since he has a good blend of quicks and handles. It may make it difficult to finish at the rim and protect the ball in traffic in the NBA, but I don’t believe that these are fatal flaws. The bottom line is that he has a good combination of strengths (quickness, length, ball handling, passing, rebounding, defense) and his weaknesses are all improvable (poor shooting, turnover prone, lacks strength). My current perception is that this draft has a clear top 5 (the top 6 picks minus Jabari) and then Elfrid has as good of an argument as anybody for 6th best prospect in the draft. Hennigan overpaid to move up 2 slots, but it may not look all that bad through the results oriented lens once we get to see what Elfrid can do at the next level. McGary was hurt early in the season before Michigan played their tougher competition, so he was somebody who I didn’t scout as much as I would have hoped. Now that I actually was able to watch him in summer league, he looks awesome. He is a center with poor height (6’10.5″) and length (7’0″) for the position, but he atones with strength, quickness, and athleticism. The athleticism is what surprised me, I was expecting a below the rim player but he showed a bit of explosiveness. This contributed to his 7 blocks in 4 games averaged 26 minutes. He’s not exactly an above the rim athlete, but he can get up enough to sometimes make athletic plays at the rim. The other quality that I wasn’t expecting is that McGary has a fantastic handle for a big man. He looks completely comfortably pulling down a defensive rebound and then taking it all the way to the rim on the other end in transition. He is also impressed with his handling ability as he overdribbled a bit at times, but he didn’t get himself into too much trouble and finished with a solid 5 assists vs 8 turnovers while scoring with good volume and efficiency. He is a health risk as he has back problems and ankle problems on his record, but he looked 100% healthy in Orlando. If he can stay that way, he should combine with Steven Adams to form a significant upgrade over Kendrick Perkins. He looks like great value at 21st overall. I am not sure precisely how much to weigh injuries, but if I could re-rank but I would place McGary in the back end of the lottery. From my Grizzlies watching experience, I still have no idea what to think of Jordan Adams. He doesn’t look natural when attacking off the dribble, and occasionally his defense is lazy and bad. But he still has quick hands to be disruptive in the passing lanes, he doesn’t make a ton of mistakes, and when you add up all of the garbage buckets he gets the bottom line doesn’t look too bad. I feel like he will be an OK but not great role player, but I need to see him at the NBA level to feel comfortable with any assessment. He is a slippery one. Stokes looks like a solid NBA role player with some sneaky upside to be a bit more than that. He beasted the glass and showed enough skill level and smarts to fit in offensively. He roughly performed as well as I expected and is probably going to be a good 2nd round value. My perception of both prospects is largely unchanged by summer league. Napier was the sole first round draft pick in Orlando who looks like a complete bust. His physical tools have been as bad as expected, and he just doesn’t fit in athletically. He is not be quite as bad as his stats indicate, as he seems to be suffering from poor variance on his outside shot. But his shooting struggles may be in part due to his poor size and length combined with his low release. He is struggling to get to the rim, he is struggling to finish, and he struggles protecting the ball with more turnovers than assists. The one positive is that he has shown quick hands and good anticipation skills to rack up steals, but his poor tools will likely cause him to be a liability defensively anyway. For a point guard who also isn’t a great passer and is already 23, I’m not sure what his calling card is in the NBA. Given that he fits the intersection of old, unathletic, and suspect defensively his summer league is highly worrisome. He may still have an NBA career, but I doubt it will be a particularly good one. In spite of being one of the most intelligent players in the NBA, LeBron James is not a good GM. The Heat might have atoned for their former star’s poor scouting ability by uncovering this gem of an undrafted free agent. At a glance, it’s obvious why he didn’t get drafted: he’s 6’4″ with a 6’6″ wingspan and weighs 177 pounds. That’s really poor size for a SG, as he’s Gary Harris sized minus half an inch of length and 28 pounds in spite of being 2 years and change older. So maybe he’s just a summer league hero who can’t do anything in the NBA because he’s too small. And as a 22 year old player, he should look better than most of the younger guys. But I can’t stress enough how awesome he has looked. He makes the plays you’d hope that 1st round picks would make, and he makes them over and over again. He has been getting to the rim, finishing, making plays on defense, and avoiding mistakes. Thus far he has played 172 minutes in 8 games, and here are his per 30 stats: 16.7 pts, 4.4 rebs, 1.7 asts, 1.4 steals, 0.9 blocks, 0.7 TOV’s. The turnover number is astounding considering is shooting 30/42 (71.4%) inside the arc and has 31 FTA to boot– he’s doing almost all of his damage by getting to the rim and finishing athletically. The only thing he’s not doing well is making 3’s, as he is only shooting 4/15 behind the arc. But as a college senior he shot 43.2% from 3 and as a junior he shot 40.2%. While he may still be adjusting to NBA range, it’s not like outside shooting is a weakness. If Johnson was a 2nd or 3rd year player, it would be easy to shrug off his performance. But he’s a rookie who spent this past season playing mid-major NCAA basketball. When the Heat played the Wizards, it felt like he never went longer than a minute without making an athletic, NBA caliber play. It seemed that he could get to the rim and get his shot off whenever he wanted whereas Napier had no prayer of slashing through the defense. Against the Clippers, he cut off a Delonte West drive attempt and then blocked West’s mid-range jumper. Johnson fits in athletically and knows how to use his athleticism for his team’s benefit. I’m not sure what to expect from Johnson in the NBA, but I’m on the bandwagon. He is the one undrafted free agent I have seen who clearly deserves a roster spot, and I am rooting for him to succeed. Hairston is a bit of an enigma statistically, as Kevin Pelton’s WARP formula rates him as the #7 NCAA prospect where’s Layne Vashro’s EWP model rates him as a 2nd rounder. The fact of the matter is that he posted impressive box score stats as a sophomore at UNC, but the EWP model has doubts about his ability to translate based on his reliance on jump shooting. I think both sides of the equation have merit. Hairston only made 34.9% of college 3’s (possibly due to poor variance as a freshman), so for a player who doesn’t offer much in the way of handling, athleticism, speed, or passing, it’s kind of frightening how jumper dependent he is. But he shot 80% on FT’s in college (87% in the D-League) and made 35.8% of 3’s in the D-League (41.8% on 1+ days’ rest- Hairston badly struggled with back to backs). Overall I feel signs point toward his shot being rather good if not elite. What gives him appeal is the volume of 3 pointers that he got off due to his quick trigger and deep range. Hairston attempted 11.3 3’s per 40 minutes, which is better than any recent 1st rounders outside of Steph Curry who attempted around 12 3PA per 40 as a sophomore and junior. Troy Daniels attempted 12.3 3PA/40 at VCU and he literally offers zero value other than shooting. Seeing that Morey liked Daniels enough to add him to the playoff roster and allow McHale to play him, I feel compelled to give some extra attention to outlier 3PA rates. Outside of shooting, Hairston doesn’t have any stand out strengths, but he does do enough to add some balance to his game. He’s a good offensive rebounder, and he had a good assist:TOV ratio (1.18) as a UNC sophomore even though his assist rate cratered in the D-League. He has good size, length, and strength for a SG as well as passable quicks and athleticism. He also posted a good 3.0% steal rate, which implies that he has the instincts to be above average as a defensive wing. In watching him I’m not sure his focus and awareness are quite enough to make him a stopper, and he likely is an underdog to become above average. But the possibility is there nevertheless to give him appeal as a 3 + D prospect. In short PJ Hairston is Troy Daniels with superior physical tools, rim finishing, passing, rebounding, and defensive potential. If Morey was enamored enough with Daniels to let him anywhere near the playoff rotation as a rookie, it’s worth wondering how he feels about Hairston who can get off a ton of 3’s without being complete deadweight otherwise. Not that Morey is the best drafter in the world, as he did take Marcus Morris over Kawhi Leonard 14th overall as recently as 3 years ago. But I nevertheless like Hairston anywhere in the 20’s. Harris is an incredibly bland prospect, and I’m not sure why he’s still getting hyped as a lottery pick after his measurements. His 8’0″ standing reach is appalling, although in his defense Vashro has informed me that height and length in tandem are more predictive than reach. His 6’4.5″ height with a 6’6.75″ wingspan makes him seem a bit more hopeful, but without plus athleticism or quicks it’s hard to see him translating his good college defense into good defense of NBA SG’s. He has good strength but when all of his other tools are below average, it’s hard to see him thriving. Further he badly struggled to get to the rim in the half-court, and doesn’t nearly have the floor general skills to run an NBA offense. So he’s basically a 3 + D combo guard with mediocre tools, and he obviously lacks the skill to run an offense. I could see him finding a niche as a Mario Chalmers type who plays with bigger wings who have the skill to run the offense, which is a perfectly useful player. It’s just not a level of upside that justifies a top 20 pick. I want to like James Young. He was the one Kentucky player who could score against lengthy, athletic defenses and he somehow showed up to a playoff game with Rihanna. But I have a hard time getting too optimistic. He seems to care about offense quite a bit more than defense, as he posted disappointing steal and block rates given his physical tools (especially his 7’0″ wingspan). He didn’t do a great job of containing penetration either– he’s still young but his defense needs work. Offensively his length enables him to hit tough, contested shots, as he scored 20+ points in all 3 matchups vs LSU as well as in the championship game vs. UConn. These teams offered the closest approximation of NBA length and athleticism on Kentucky’s schedule, and they gave the Harrisons and especially Randle big time issues offensively. I believe his 35% 3’s and 70% FT’s underrate his upside as a shooter since he’s exceptionally young and his form looks good. But he’s still not quite an elite shooter and what else is there to like? His assist:turnover ratio is solid. But he struggles defensively, is a mediocre rebounder, and doesn’t have the handles or burst to regularly get to the rim. Even if his shot develops exceptionally well, he still needs other skills to become a good NBA player and it’s not the most likely parlay that he overcomes enough weaknesses to become a good starter. I still take him in round 1 since he’s so young, but I think he’s a bit overrated as a top 20 pick. 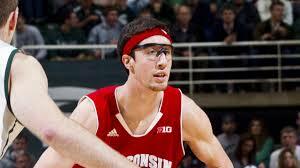 The Jusuf Nurkic of the NCAA. McGary doesn’t have great length or athleticism, but makes a defensive impact his own way with strength, quick feet, and good instincts to rack up steals. He’s a beast on the glass and a solid finisher as well. The downside is that he missed most of this past season with back issues, and he’s also old for a sophomore as he is already 22. For these reasons I rate him considerably lower than Nurkic, but I neverthless like him as a late 1st flier. I don’t even know what to think here. He is an unathletic SF who thrives scoring inside the arc. Is that ever going to be useful in the NBA? I don’t know. He has a ridiculous floater, he moves well off the ball, and he had a good steal rate so maybe he makes it all work in his own funky way. But a wing who is neither an elite athlete, defensive prospect, passer, or shooter seems to have limited upside so he’s a fringe 1st rounder to me. GR3 is another player who I tried to get into but perceive as a likely disappointment. He uses his leaping ability to be a scintillating rim finisher, converting 83% (!) of his rim attempts as a sophomore. His 3 point shot is a work in progress but it’s not hopeless, and he also has the tools to be a good defensive player which gives him the makings of a compelling flier. But whenever I watch him I get the sense that he lacks the feel for the game on to become a genuinely good player on either end of the floor. He also isn’t much of a rebounder considering that he played PF for Michigan. He’s a fringe 1st rounder. Everybody loves Shabazz after he carried UConn to an unlikely title run as a 7 seed. He hit an endless stream of off the dribble 3’s to enable UConn’s ugly offense to work well enough to beat a number of touch matchups, and he deserves all the credit in the world for making Kevin Ollie a sought after NBA coach. As an NBA prospect, my feelings toward him are mixed. He grades as a solid statistical prospect, and I quite like him as a 3 + D PG paired with a bigger PG to run the offense and defend the wing. But he’s also tiny, unathletic, old, and not an elite playmaker at the deepest position in the league. It seems unlikely that he ever becomes a top 15 PG in the NBA since he’s in a mold lacking upside. While he can become useful anyway, I have a hard time getting excited about the thought of taking him in round 1 with so many higher upside PG’s in the class. 2) Xavier played a non-gambly defense. He posted a solid 2.3% steal rate to lead the team, but it doesn’t do service to his tools and defensive potential. He’s old for a sophomore as he turns 22 right at the start of his rookie season, so I wouldn’t say he is loaded with upside. He still has plenty of shortcomings that inhibit him as a prospect such as his shooting, decision making, and overall skill level. But he also has sneaky upside that is undetected by statistical models, so I like him as a late 1st or early 2nd flier. I can see him becoming an Eric Bledsoe lite. The subject of my first post on the blog, and my feelings still have not changed. I picked McDermott as my first topic to write about because he is so straightforward– he is a one dimensional scorer with awful tools, and limited handling and passing ability. He is a great shooter and moves well off the ball, but his interior scoring has translation risk and there’s not enough else to like to offer any compelling form of upside. In McDermott’s defense I will note that he wasn’t quite as bad defensively in college as his steals and blocks suggested. Rodney Hood got blown by a fair bit more frequently, to offer an example of worse defense. McDermott was at least smart enough to know when he was facing off with a mismatch and give enough space to not get blown by. This is far less important than his poor physical tools and non-existent defensive playmaking ability, but it does give him a glimmer of hope for being a stomachable level of bad. I stand by my conclusion that he’s not a 1st round talent. As far as I can tell the only reason why he’s in the discussion for a lottery pick is because he scored a boatload of points, even though the NCAA scoring leaderboard is littered with guys who amounted to absolutely nothing in the NBA. While he is a better shooter and may not be quite as tragic of a bust as Adam Morrison, he is a roughly similar prospect in that they are both one dimensional scorers with poor tools. It would amuse me to no end to see Jordan refuse to learn from his Morrison mistake and take McDermott 9th overall. Absolute best case for McDermott is something along the lines of a SF version of JJ Redick.